GMC, the truck and SUV manufacturer has announced the launch of ‘Like A Pro’, a new campaign evolving its ‘We Are Professional Grade’ positioning. ‘Like A Pro’ celebrates GMC vehicles and customers — people who passionately live life to a higher standard. 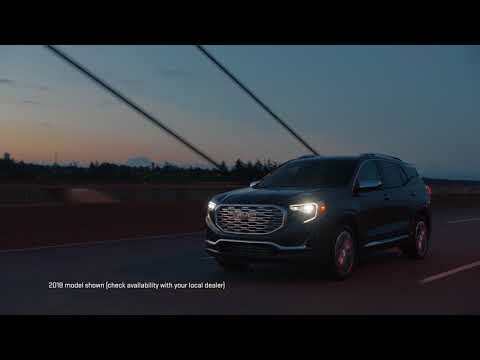 The ‘Like A Pro’ campaign illustrates the core values of ‘We Are Professional Grade’ and shows the emotional connection customers have with their GMC trucks and SUV models. With the new campaign, this is first time in the region that the brand, which has been present in the Middle East for over 93 years, has taken its brand messaging in a new direction, marking a key moment in the brand’s ongoing development. The campaign content will feature GMC Denali trucks and SUVs — the pinnacle of Professional Grade. Earlier this year, GMC Denali models passed the 1 million sales milestone and represent nearly 30 percent of GMC retail sales. The campaign also boasts the all-new GMC Terrain, which joins the hot-selling, recently redesigned GMC Acadia in the GMC SUV lineup.